This is the fifth day of 8 days of training. This course will look at Jolly Phonics and how to apply the method in the classroom soon after taking this course. You can start and join this course from any of the available dates. 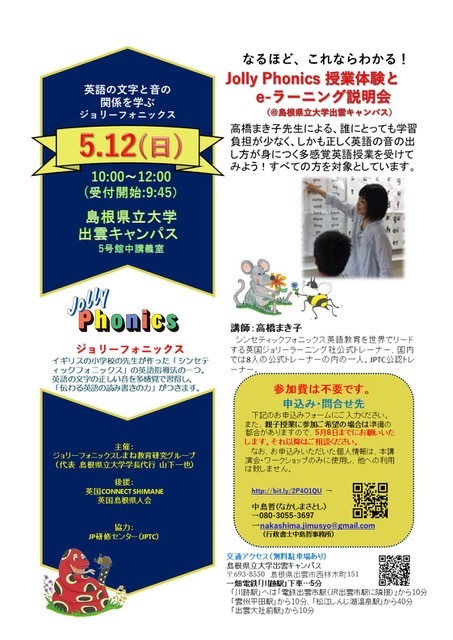 This training will take an in-depth look at Jolly Phonics and how to use it in schools or at home. Participants will learn how to teach Jolly Phonics and practice demonstration lessons with feedback from accredited trainers so that they can be confident they are teaching the program correctly. – What is synthetic phonics/Jolly Phonics? Participants are welcome to join one, two or all parts of this two-day training. This training will follow up from Part 1 and look in depth at teaching the alternative spellings of sounds, tricky words, developing writing skills and how to prepare students for moving into Jolly Grammar. This will cover the 94 lessons laid out in Jolly Phonics Students Books 2 and 3 that follow learning the 42 sound spellings taught in Jolly Phonics, as well as showing how to structure each lesson. We will also demonstrate activity ideas and explore how to bring worksheets and textbook pages to life in class. Participants who join Part 2 should have completed Part 1 or joined a training session with Alex in the past. Jolly Grammar is the next stage after Jolly Phonics in the systematic teaching of the Jolly Learning curriculum. This workshop explores the systematic teaching of Jolly Grammar and how it builds on what students learn in Jolly Phonics and helps them to learn about spelling, punctuation and grammar rules. The training will primarily focus on Jolly Grammar 1, 2 and 3, with a brief overview of what comes in the later years of the program. Can’t find the right training for you? Then why not contact any of our trainers across Japan, using the contact details you can find here! Our Trainers will be more than happy to discuss training options with you to suit your needs – so contact them today!